The Game Room is located in the building directly across from At the Dunes office. Plenty of board games, Ms. Pac Man, Ping Pong. Please contact the Homeowners Assn. at (831) 761-7744 for further information. 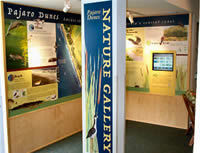 Our Nature Gallery exhibit provides detailed information on every bird that migrates through Pajaro Dunes. Including many that are Endangered Species. It includes locations within the property where you are likely to see them, and at what time of the year they are in our area. 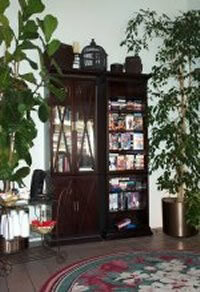 Video Lending Library and Hi-Speed Internet access are located in our office, we have several titles to choose from. Children’s, action, horror, comedy, family, drama and classics also. Need to send or check e-mails? We offer free hi-speed internet access. Remember, these are all free services to our guests and homeowners.